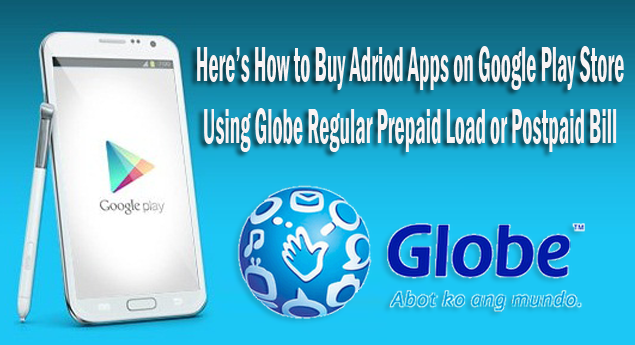 Globe brings out the good news for their TM, prepaid and postpaid subscribers who can now all purchase the apps and app items on Google Play Store with the charging ging directly to their load or postpaid bill. No need to use any credit cards. Been into a game and finished all the free levels but you have no Paypal to buy the next level? In need of a power up or dying to buy the premium version of the game you have always wanted? First select the Play Store in your phone, then select ‘existing’ to add a Google ID account. Sign in your email then select OK. 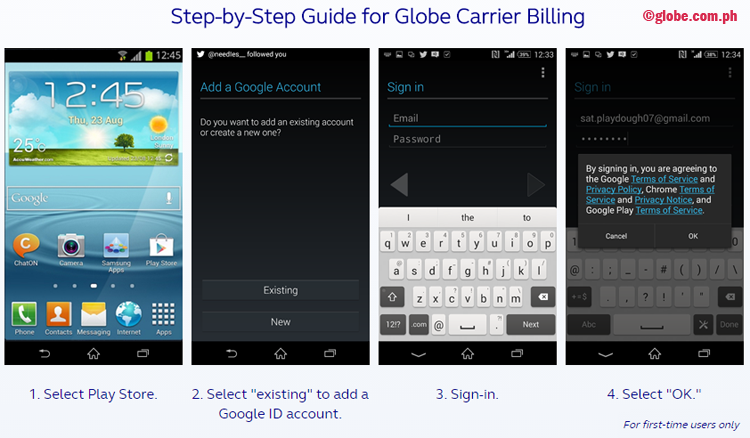 This is for the Globe Carrier Billing. 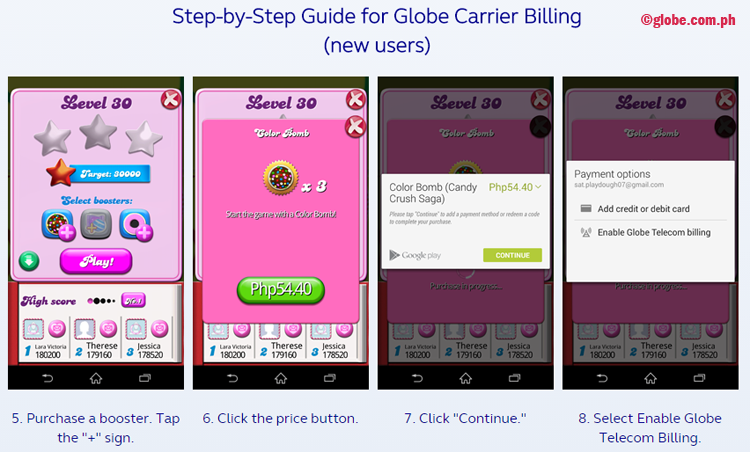 For new user of Globe Carrier Billing, purchase a booster then tap the sign ‘+’. Click the price button that would appear on your screen, then click ‘Continue’. 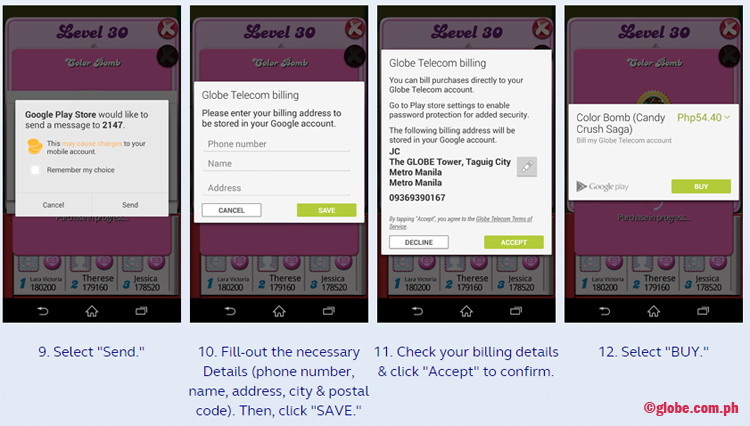 Select ‘Enable Globe Telecom Billing’ before selecting ‘send’. Some details would be needed to be filled out. Fill in with your name, address, and phone number before selecting send. Check all the details then select Accept if all details are correct. Select BUY. 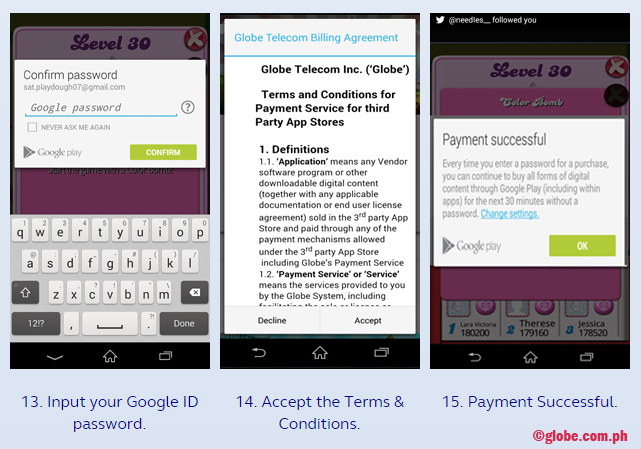 Don’t forget to input your Google ID password and accept the terms and conditions if you agree with them. You would get a confirmation that your payment has been successful. These instructions are for first time users only. Always remember that the charges are subject to added 12%VAT.